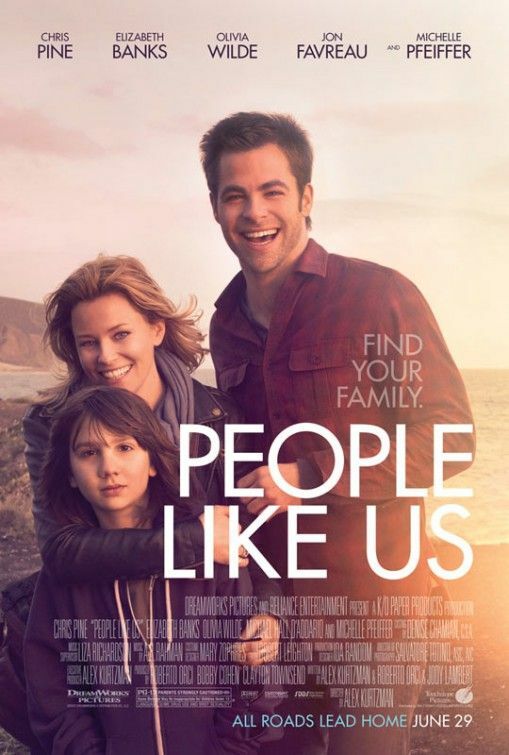 Opening this weekend is director Alex Kurtzman’s (co-writer of Star Trek and Cowboys & Aliens) feature debut, People Like Us. Inspired by true events from his own life, the film follows Sam (Chris Pine), a debt-ridden salesman who learns that his father has suddenly died, leaving behind a secret 30-year-old daughter (Elizabeth Banks) and a sizable amount of money meant for her. As he struggles with the decision of whether or not to share the money, he forges a relationship with his unsuspecting sister and her young son. For more on the film, here’s eight clips. At the recent Los Angeles press day, I was able to speak with Michelle Pfeiffer (she plays Pine’s mother). We talked about making the film, how the studios have moved away from making talking dramas, deleted scenes, her early movie and TV work in projects like CHiPs, Delta House and Charlie Chan and the Curse of the Dragon Queen, t-shirts, and how she prepares for a role. In addition, with Pfeiffer having played Catwoman in Tim Burton‘s Batman Returns, I asked if she was looking forward to The Dark Knight Rises. Hit the jump to watch.